I remember the deep quiet of walking through the woods on a snowy gray afternoon, the birches confident they couldn’t be seen poking out between the snow falling and already fallen. Liz’s art makes these memories come back alive for me. Liz, thank you for that gift. 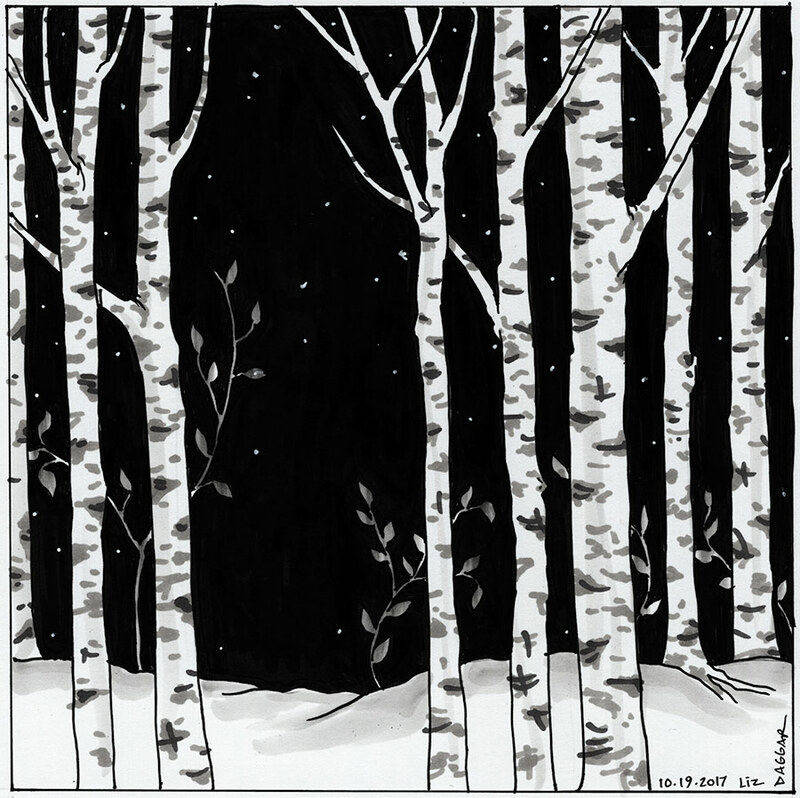 Day nineteen : A stand of birch trees stood sentinel in the dark. Today I’m glad to be sharing music played by my friend Michael Ferguson – Chopin’s Nocturne in E Major. Enjoy the music and the video of Lake Superior. I hope you don’t mind that I share non-musical posts from time to time that I think fit well with the overall theme of quiet vs. noise. I liked this quote from a blog I follow – if you’re an introvert, you might want to check it out.